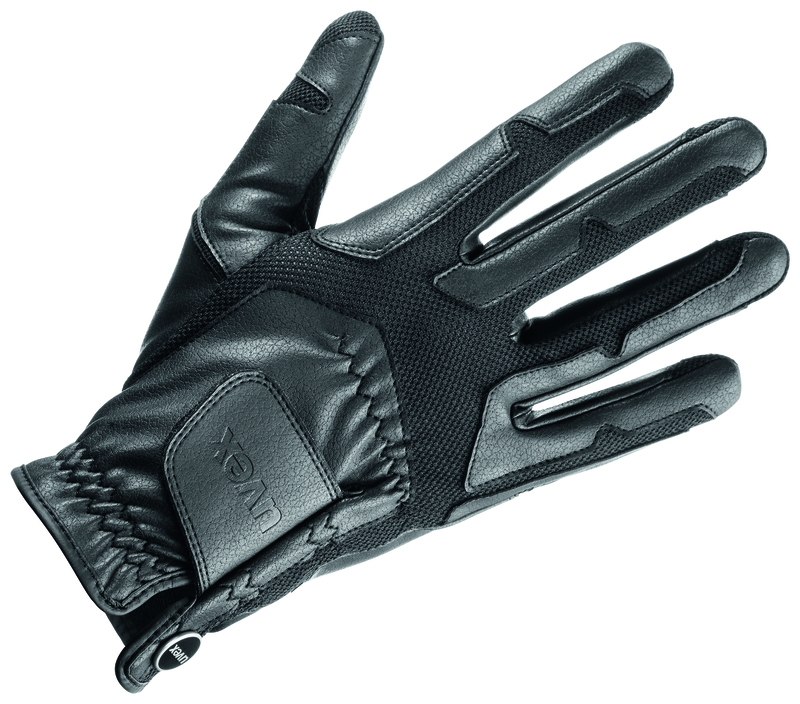 The innovative uvex ventraxion glove is offered in ‘only’ five sizes. The reason is simple: the glove adapts perfectly to the rider’s hand through the uvex developed fit in combination with the new soft-touch material that is extremely flexible but also breathable. The soft-touch material gives the rider’s hand the necessary support, but the effect remains smooth and the feeling is optimal. This new glove feels like a second skin and offers the grip that the rider needs. Like all uvex gloves, this model is washable. The gloves are available in the colors black, brown and blue.